← Would You Like to Have a Kid in the Next Year? Fitzgerald: It’s funny; for the first thirty-five years of my life, the very idea that there might not have been a real Jesus never occurred to me. Ironically enough, it wasn’t until I became curious to know what Jesus really said and did that I began to seriously look at our evidence for Jesus. That‘s when the doubts set in. At first, I just wanted to figure out which parts of the gospels were later legendary add-ons. Over time I became increasingly convinced that Jesus himself is a completely mythical figure of the early Christians. That led me to write Nailed. Tarico: But don’t most secular historians also believe that Jesus actually existed in some form? Not the Christ of the gospels, I mean, but a reformist rabbi who amassed a following and got crucified by the Romans? Fitzgerald: Well, that is part of the problem Albert Schweitzer identified over a century ago. There’s no consistency to the portrayal of Jesus in the gospels. Mark’s Jesus is a humble, fallible, suffering human. Matthew’s Jesus is a new and improved take on Mark’s, correcting his mistakes. By comparison, Luke’s Jesus is a Zen master and John’s is a ridiculously egotistical SuperJesus, repeatedly making blasphemous comments that should have had him stoned to death right out of the gate. Consequently, the hypothetical reconstructions of Jesus we see proposed by different historians are radically different from each other and often fundamentally incompatible. With that little convergence between scholars, it becomes clear that whether intentionally or not, Jesus historians are making things up. Whatever you want to say Jesus said or did or was, our first question should be: what is our source for that claim? And the second is: how reliable is that source? The answers to these questions don’t bode well for any certainly about Jesus – whether he actually existed or not. For starters, we have no ancient sources that corroborate Christian claims about Jesus. In my books I detail why the most cited so-called sources outside the New Testament are considered forgeries and why the rest only provide evidence for the existence of Christianity rather than Jesus himself. They all draw their information about Jesus from Christian sources. I discuss the problematic state of modern Jesus studies a great deal in Jesus: Mything in Action. Basically, more than a few secular historians have inherited the automatic Christian dismissal of any kind of myth theory. Ultimately, however, this isn’t a fight between mythicists and historicists; it’s a fight between those that take mythicism seriously (mythicists and historicists alike) and those that simply dismiss it out of hand as something long-since settled. Tarico: Walk us through how Christianity could have emerged if Jesus never existed. Fitzgerald: There’s nothing implausible about Christianity beginning with a wandering teacher and his followers. And it’s no skin off my nose if there was – but that’s not what our evidence points to. The further we go back in Christian history, the more diverse it appears, and the less likely it began with a single founder. Instead there are abundant indications that its origins are tied to the pagan mystery faiths. Not that Christianity is some cookie-cutter copy of the mystery faiths – it is a mystery faith; a uniquely Jewish version of this Hellenistic theology. When the Gospel of Mark is written generations later, the mystery faith savior of Paul, the book of Hebrews, and the earliest Christians becomes an allegorical figure built from pastiches from the Hebrew scriptures. Jesus doesn’t fulfill prophecy; Jesus is a collage constructed from prophecy and other writings. And his story grows by leaps and bounds in the second century. As Bart Ehrman and other biblical scholars have demonstrated beyond a doubt, most of our New Testament books are forgeries. None are written by anyone who actually knew a Jesus. The only genuine books are seven of the letters attributed to Paul (though even these have been tampered with). And of course, Christian scriptures were edited and re-edited to suit the needs of different religious factions over centuries. We have no way of knowing how much has changed from the original writings; for the first 150-200 years, we have a blackout period with nothing but tiny fragments of New Testament texts until complete books begin to appear at the end of the second century. Our earliest complete New Testaments only go back to the 4th century; although they differ from each other – and from ours. And of course Christianity continues to evolve and mutate for the next two millennia, a process still alive and well – a perfect textbook example of Darwinian evolution in action. Modern Christians would have a hard time recognizing their religion in the beliefs of their earliest spiritual ancestors. In fact, most Christians of today would be the heretics of 500 years ago. Please note that all these problems of evidence remain – whether there was a Jesus or not. Tarico: As a non-scholar, I myself am agnostic on this question, and I generally defer to the preponderance of relevant experts. But you are pretty convinced. How would you persuade a Christian that their savior is a myth? Fitzgerald: Personally, I don’t think the historical Jesus question is worth debating with believers, precisely because it is such a discussion-killer. Nontheists don’t need Jesus to be a myth. If it turns out folks like me are wrong and one day some good evidence for a real Jesus gets uncovered, it’s not as if Christianity will suddenly start making sense. We’ll still be just fine. Christians, however, can’t say that. They can’t even enjoy a relaxed agnosticism about the mere possibility of mythicism. They need Jesus NOT to be a myth. Unfortunately for them, their Jesus is a myth, and that’s true, no matter whether it’s the mythicist camp or the historicist camp that ultimately comes out on top. The “Jesus of Faith” gets debunked either way. Tarico: Apart from the question of whether or not the god-man of Christian theology existed–and died to save our souls–, does it really matter whether there was an actual human at the heart of the myth? Not only does it seem unknowable, but as a former Evangelical who left biblical Christianity for what I see as very solid reasons, I find it somewhat hard to care. Do you think the existence or non-existence of an historic Jesus is important? Fitzgerald: Only if Jesus is important; and honestly, maybe he isn’t so much, anymore. The number of Christians – actually, the religious population across the board – seems to be in a steady decline in America and elsewhere. What is important about this argument –and what makes it worth arguing about–is that it shows what we can and can’t know about who or what Jesus really was. Everything we learn from the back and forth of this historical argument – on both sides – helps us call the bluff of anyone who says they know how Jesus wants you to behave or think or vote. And that is a very valuable thing for all of us – believers and nonbelievers alike. This interview is the first in a series of four articles challenging what we think we know about Jesus as a historical figure. Gallery | This entry was posted in Musings & Rants: Christianity, Uncategorized and tagged historical Jesus, Jesus mythicism. Bookmark the permalink. sounds like some interesting books to read… Thanks Valerie! It’s true for me that once I stopped believing in Jesus, it no longer mattered to me whether Jesus was historical or mythical. And I agree the question is not worth debating believers over. Fitzgerald says he wrote “Jesus: Mything in Action” for his “fellow atheists who think we have good reason to accept that Jesus was at least a real person”. Seems like a very small audience to me, though maybe I’m wrong about that. Since believers won’t want to read it, and unbelievers like me don’t need to read it, are there really that many atheists who are committed to the idea of an historical Jesus who should read it? Or perhaps the book is also intended for those like me who don’t care one way or the other, but want the facts if we do get into debates over the issue? It’s very important to show that JC never existed, because that finding refutes the most basic belief of fundies and evangelicals. 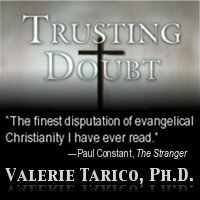 They will not be persuaded (except for a few) but some of the general public, if made even dimly aware of the controversy, might finally see there is much less to Christianity than usually assumed. False claims must not go unchallenged. Not much here to compel me to continue with the series. If Fitzgerald (again, not a scholar) wants to argue that the differing constructions of the historical Jesus are evidence that there was no historical Jesus, we should sit and wait patiently for him to explain why the same goes for figures like Gilgamesh, King Arthur, Buddha, Zoroaster, Hannibal, Marcus Camillus, Gaius Coriolanus, and the Icenian warrior queen Boudicca, each of whom had differing, often mutually contradictory and in some cases supernatural and other fantastical claims accrue around them. Just because we have no good reasons to accept the sensational claims attributed to St. Francis of Assisi, for example—on whose body it is said miraculously appeared stigmata impressed by a seraph with six wings—does not ipso facto give us reason to doubt the very historicity of the figure behind them. Mythological accretion is common to ancient and sacred narratives. The reality is that Jesus simply did not make that big a splash in his day. That the source material is scant is only surprising or problematic if one subscribes to Jesus the miracle-worker as opposed to Jesus the obscure, illiterate, penniless Jew whose life was posthumously embellished by his most devoted followers. Thus the fact that we have no extracanonical sources for Jesus’ miracles merely serves as evidence against the historicity of those miracles, not against the historicity of Jesus himself. Bottom line: The very first believers were Jews, in Judea, who came to the strong conviction that Jesus was the “conquering Christ” of God despite his death by execution. There is no debate over the origin of this movement within Southern Judaism at least ten years before Paul wrote his epistles (around 40-60 CE). The probability of this eruption of that conviction is almost zero on the hypothesis that the man in question never existed. Lastly, his statement that historians “are making things up” is just beyond the pale hyperbole that should remove him from any kind of serious academic discussion. There is quite some distance between applying the principles and methods of modern historical-critical scholarship to the limited, discrepant and overall sub-ideal evidence on hand and “making things up”. This is something only someone outside the field would say in order to grab attention. I feel confident in firmly placing Fitzgerald in the crackpot category. The more atheists and so-called skeptics treat him as an authority on this topic the more credibility we stand to lose. Beliefs are thoughts that carry an emotional investment by the believer. Thoughts are representations that we carry in our heads. Representations have to be linked to what they represent otherwise they represent nothing at all. Our brains evolved because possession of a brain increased the brain carrier’s chances of survival long enough to reproduce. This would not be the case if the brain was unable to distinguish representations, that were not linked to anything, from representations that were linked to something. Verification of a representation’s link to something is provided by one or more of our six senses, 5 external ones,sight, sound, smell, touch, taste and one inner one, or experience, that is not dependent on any of the five external senses being triggered. This inner experience is triggered in Quaker silent meeting or in other conducive situations.The Jesus stories are centered on there being an external God. If there was indeed such a GOD it would need to be verified by one or more of our external senses and it isn’t thus there is no such thing as an external God. All that there is is a heavily emotionally invested thought, i.e. a belief, in people’s heads. Thus it would seem to me that it is very likely that Jesus is just a collection of thoughts unverifiable by any of our external senses, a mythical creation in other words. He uses a simple formula…everything that supports an historical Jesus a forgery, everything that supports. He doesn’t prove it, but it sounds good. A fascinating and enlightening discussion about the historical existence of Jesus and the evolution of a major religion based on stories from the oral tradition. So much time lapsed between the oral and written accounts that there is room for a great deal of embellishment. This is a topic which invites ongoing scholarship. The same can be said for most other religions centered around a teacher whose life story is the catalyst for a new set of transformational beliefs. I hope the work carries forward.